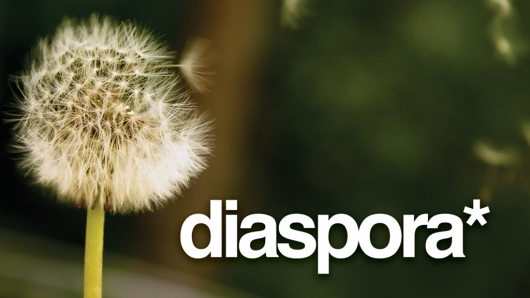 Diaspora, a new social networking platform, has been making quite a buzz in the tech community recently. The official project website describes Diaspora as “The privacy aware, personally controlled, do-it-all, open source social network.” It is designed as an alternative specifically to social media giant Facebook, although it really aims to replace any social network you’re willing to leave. On April 24, 2010, 4 students at NYU’s Courant Institute posted a video to funding site Kickstarter explaining their idea for a new social network. They asked for $10,000 in funding to be able to create their idea. They reached their goal in only 12 days, and to date have raised over $200,000. The promise of a more private social network was timely presented not too long after Facebook received bad press for several privacy issues in a row, leading it to generate quite a bit of news hype. Diaspora released their source code on September 15, 2010 in a pre-alpha state. Reviews were somewhat mixed. Although there was some excitement, many developers were concerned about security issues, external application dependencies, and a lack of features. A consumer alpha release is scheduled for some time in October 2010. The software is currently very simple, allowing only updates (similar to Facebook statuses) and pictures. The interface is sparse, but clean. The software has a number of security flaws and bugs, although many developers have been able to help now the source code is public. The Github posting of the source code quickly became the 10th most popular project, and received several hundred contributions. The current software isn’t that great, but it has quite a few developers behind it, and so it has a bright future. A published roadmap tells of future plans, which basically include adding obvious features and making it more secure, as well as easier to install. Hopefully after some of these basic features get installed, they will be able to add more features that average users will be able to take advantage of. Diaspora is designed to be run on your own server. This has two major implications – 1) it is much more secure, and 2) you have to be really geeky to be able to run it. Right now Diaspora’s got the developer support it needs to get adopted and tested out. However, for it to gain mainstream adoption and appeal to the ordinary user, it will have to get much easier to install. An easier install is on the roadmap, but not very close. Diaspora has hope that it can be a legitimate Facebook competitor, but its also has a lot of work to be done before that can happen.